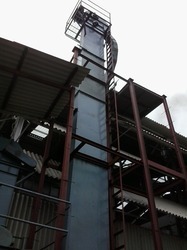 Bucket elevators are used for horizontal conveying of Varian free flowing material. Mainly used in Rice Mill, Edible oil plants, Sugar mill etc. We are leading manufacturer and exporter of Bucket Elevator.